Holiday gift guides for wheelchair users abound across the internet, but the problem with most is that they group wheelchair users into one category and completely ignore that many people with physical disabilities have a range of abilities, making gifts like iPads less practical for some than others. Only you know your wife, father, grandmother or friend well enough to know what they would like for the holiday gift-giving season. However, if you are feeling particularly stumped, here's our 2017 gift-giving guide for wheelchair users of all ages and levels of mobility. Wait, shoes? Really? Yes, really. However, not all shoes are created equal. For people with less dexterity, we've found two brands of shoes we love. UGGs have been around for a while and were especially popular with the young female demographic, but in later years, everyone wears them and for good reason: they are cute, comfortable, easy to put on and take off, and most importantly, they keep your feet toasty warm. People in wheelchairs commonly have issues regulating their body temperature, and making sure they are warm when they travel outside is a definite win. What many people don't know is that the famous athletic brand of footwear makes a double-zip version that removes the need to lace the shoe, which can be particularly helpful for someone with arthritis or any condition affecting finger strength or coordination. Planning an experience for someone in a wheelchair can be challenging and intimidating, but there are resources all over the internet to help you find the perfect excursion for your friend or family member. Here are just a few we liked the most. Some days you just want to eat dinner in front of the TV. For those days, lap trays are the greatest invention. This versatile tool means the difference between making one trip or many when your hands are used to roll yourself around. 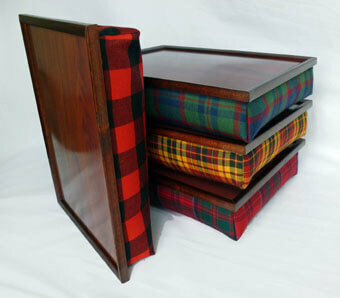 Inexpensive and surprisingly stylish, a lap tray would make a great gift for anyone of any age. Heating pads and wraps were designed to stimulate blood flow, which aids aches and pains in tired muscles. Just make sure the cord is long enough to reach from an outlet to a wheelchair if necessary. Winter gloves are great for the same reason UGGs are great (see #1 above). Appendages get cold in the snowy weather, and that's even more true for someone in a wheelchair. When shopping for a manual chair user, consider getting gloves that are water resistant to keep snow on wheels from soaking through. Also consider gloves with more grip to help getting hold of tires or a power joystick easier. Many people are afraid to try acupuncture or acupressure therapies. What is the difference? Check that out here. These therapies have many of the same benefits as heating pads and are intended to cause an intense feeling of relaxation and calm. Everyone has a different personal preference for how they want their cushion to feel - sort of like a phone case, only it's physically painful if you pick the wrong one. However, a spare cushion could be a great gift that your friend or family member can use while playing with children on the floor or weeding their flowerbeds. This is a tiding of comfort and joy. We like these Roho cushions for their great design and reviews. Wheel guards are especially popular with kids in wheelchairs because they come in almost every design and can really broadcast your personality in a fun way. We can't stress enough how important wireless headphones are to someone in a wheelchair. When you go cordless, there's no danger of getting caught in anything, and they give a real sense of boundlessness. Kinetic sand is having a moment. With its mesmerizing look and feel, kinetic sand is therapy and play all in one. This would go great with #3 on this list. Or try making your own! The benefits of Amazon Echo and Echo Dot are too extensive to write about. With hands-free calling, app access and internet search, Echo streamlines what you can accomplish in a day. I bought my Dad one last year. He's not in a wheelchair, but typically he can't answer a phone or check the time when he's working in the barn because his hands are dirty. With the Echo, he can keep working while he talks, surfs and listens to music. A common issue for someone in a wheelchair is navigating the grocery store. The shelves are too high to reach half of the ingredients you need. Sometimes asking for help is embarrassing and navigating a large chair down narrow aisles can be anxiety-inducing. Avoid all the hassle and give the gift of a food subscription box. These boxes are delivered straight to the home with all the ingredients you need to make a healthy and delicious home-cooked meal. There are tons of options out ther, but here's just a few. There you have it, folks! Eat, drink, and be merry.